I promise to get back to the design talk in my next entry. But I just had a great cleaning day and felt the need to say thanks to all of the items that attributed to that. Doing the dishes is one of my least favorite chores, so when I find something that makes it much easier, I'm all about it. This just that. And I'll tell you why. 1. It holds dishwashing soap inside the handle so you don't have to stop and pick it up and pour it in each pan. 2. 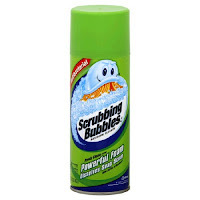 The long wand gives you great leverage to help you scrub off the toughest buildup. 3. Your hands don't smell like a dirty sponge when you're done. It smells great and works great. 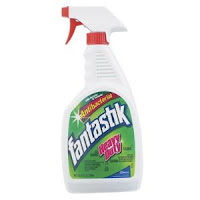 Plus you can use it on so many surfaces so there's no need to stop and switch cleaners. That means you're done faster. I like that. This stuff is like magic! I spray it on my metal fixtures and seconds later, the foam is gone and all that remains are my newly polished looking fixtures! 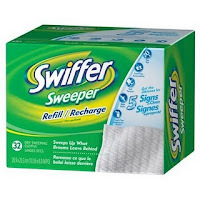 These are actually intended to be used on solid surface floors, but I have found that they work great all around the house. They are like little dust magnets. They pick up everything! So get rid of those old rags that don't do the job and go get some of these! I can't believe you are missing the greatest cleaning tool known to man: the magic eraser. Seriously, take a sharpee to your wall, or scuff up your floors with a shoe, or splatter grease all over your stove. One swipe, and it's all gone. You are so right! How could I forget? I love the Mr. Clean Magic Eraser too! It's awesome for soap scum in the tub too!